When you’re in a wardrobe rut, it is always a good idea to go back to the basics. Just pick out your favorite basics from your closet and add. For me my favorites are my white long-sleeve crew neck and my classic boyfriend jeans. I then added my clear-cat-eye shades, grey suede jacket and pointed-snake-skin flats. 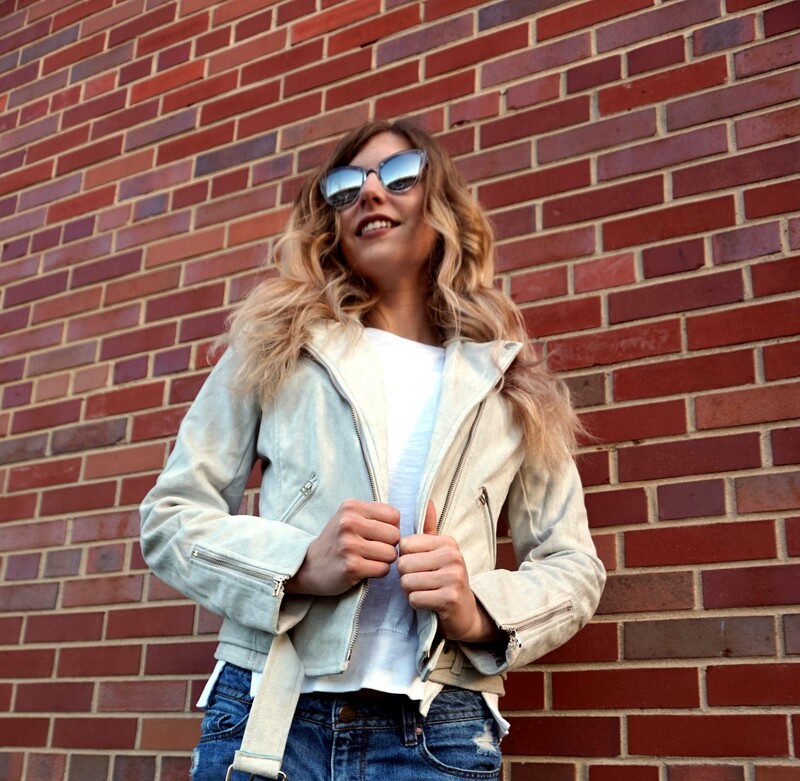 Shades, a jacket and some flats. All you need are some killer accessories to freshen your favorite basics. There is also something to be said about these shades by Quay eyewear. Reflective shades are a must in the trend department this summer. These exaggerated shades are amazing and look good on most face shapes. The thing I love about Quay eyewear is that most of their shades are over-sized. I happen to have an extremely big head, no pun intended. So much so that regular-sized sunglasses make me look like John Lennon. Quay eyewear has so many over-sized options that flatter your face from small heads to big. To get the look scroll down to some of my picks below.